A snapshot of all that is October ’18 – a quick sum up of all events, challenges and news along with a quick outlook into the next week’s events! 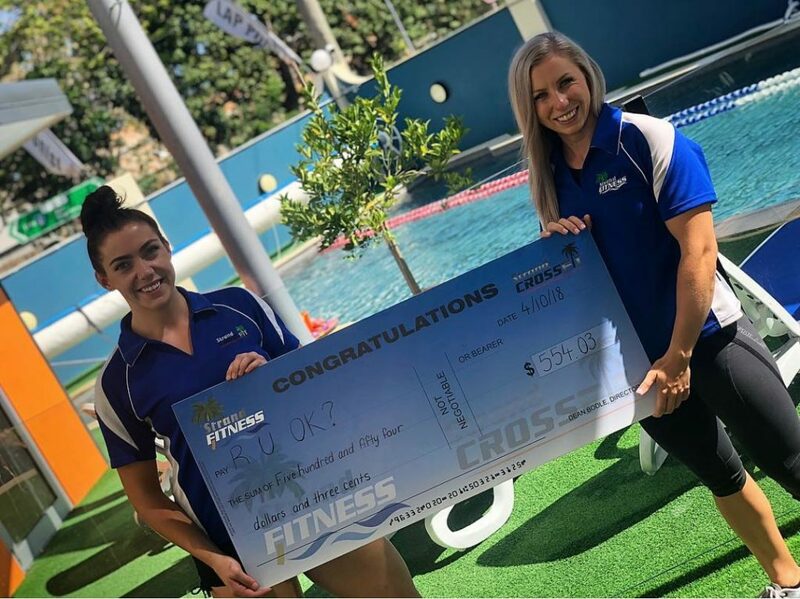 Strand CrossFit and CrossFit Tropics are proud to announce that they’ve raised over $550 for the R U OK? foundation. A big thank you to everyone for their generous donations and for making it such a successful day. The Pavillion Café officially opened their doors on September 15, with the grand opening! Coffee Dominion showcased their coffee and barista skills, we had food tastings with Nourished by theNutritionist Meal prep! You can now order your favourite pre-prepared meals online via www.thepavillioncafe.com, we have 2 pick-up locations (CBD & North Shore) and regularly update our menu! Also, stay tuned for our vegan options which will be available soon! Did you know that Strand Fitness offers the biggest variety of LIVE classes in Townsville – and they have some of the best instructors taking them across both locations! With the new summer timetable, both the Yoga Hub and Strand Fitness introduced new times and new classes to you! Check out some of the new Yoga classes on our blogs here, both timetables for CBD, North Shore and the Yoga Hub here OR try before you buy, with $8 for 8 days with clicking here. Our last challenge for 2018 started and we would like to welcome all our challenge participants. Keep up your amazing motivation! (and if you need a little push, read about our latest participants and their great success stories here). Strand Fitness $8 for 8 days (YES that is $1 a day) is running an amazing promo to check out our gyms at our CBD and North Shore location! Have a friend you would like to train with? Why not invite them to Train with you!